Because I don't want the head aches I'll throw this at you, why can't you put insurance on the watch like car insurance, you break the ceramic bezel and the insurance policy picks up the tab as it should be. I think there would be good profit in that venture! I hope you don't win a broken bezel or a failed spot weld. I know I won't. But what do I know, I haven't tried one for 6 months before generating an opinion. Nice lume shot BTW. Wait, I've never tried to take a lume shot, so I guess I can't have an opinion on that either. Maybe it's really bad? Has anyone of you who is stoking this fire in regards to the durability of ceramic bezels, a) actually own one or b) actually had one break? If so, then you are qualified to chime in. Until then, it's all 2nd hand hearsay. I have one and my bezel broke so can I chime in? The only thing cheering me up at the moment is GMT-Master with his "only 3 or 4 confirmed cases worldwide". HaHa - I should be so special. Anyway I didn't hit or even remember knocking mine at all. After swimming in the sea a couple of times with it on I noticed a splintered crack between the numbers. A morning or two later I awoke to a shock - there was no bezel insert in the watch at all. It was lying nearby and had literally 'sprung out' like a circlip and flew several inches. Mine is currently with Rolex being assessed so I don't know yet whether I have to pay (the watch is within the 2 year w'tee). The picture attached is of a piece I found on the floor after I took the watch to the AD. I have a very blurry close up of the cracked bezel before it fell out altogether - I'll put this up once I get it off my camera. I wouldn't worry too much about it. If you're very worried then buy the aluminium one and buy the new clasp instead? OK.ne day while watching shopnbc on TV, If I remember correctly, Jim Skelton(show host) took a ceramic bracelt watch that he was promoting for sale, and to show how tough it was, started whacking the bracelet with a hammer to show that is was pretty hard to destroy and scratch. That pretty much said it all to me. Now, not being in the ceramic business, I magine there are different forumlas and preceses which can add strnghts and or weaknesses to the product. As I said in an earler post, if it breaks (like everything else in this world does.) I'll have it fixed. 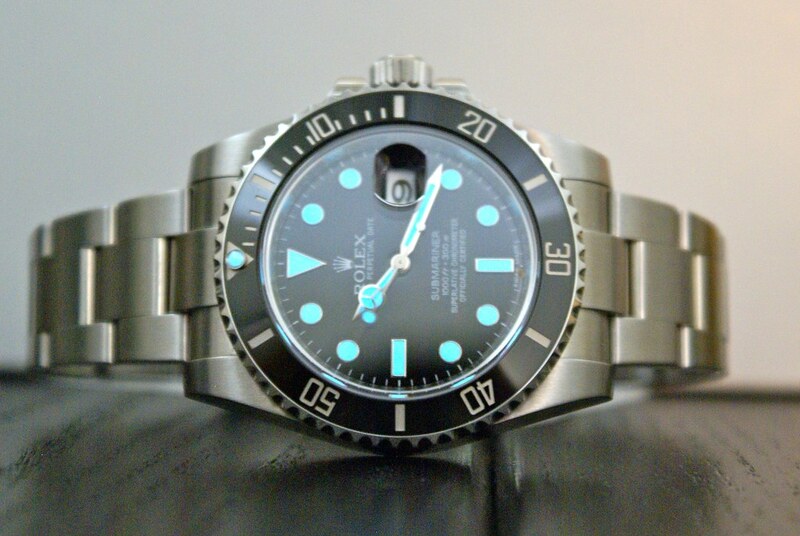 Many things today are disposable, my Rolex is not. And, as someone else posted, the test of time will tell us just how good Rolex research was prior to producing these bezels.